After days of not recieving food and health services from the government, 25 Kurds and 13 Afghan refugees went on a hunger strike in refugee centre in Lavrio. They also demand to be granted asylum. Hunger strike ended after the Red Cross promised to satisfy the refugees’ demands (except of the asylum one). Vienna – Austria’s Constitutional Court has restricted the the practice of sending asylum seekers back to Greece, because of that country’s difficulties with caring for migrants, the judges announced Wednesday. According to the UN, Greece’s detention and police systems are in crisis, as authorities are overwhelmed by an influx of up to 400 illegal immigrants per day. The court’s verdict makes it more difficult to ship back vulnerable asylum seekers, including mothers with children, to Greece under the EU’s ‘Dublin II’ regulation. This rule says that applications for asylum should be heard in the first EU state the migrant enters. The court ordered authorities to get individual guarantees from Athens that specific migrants would be cared for. The decision also applies to sick people and unaccompanied minors. The judges had accepted an appeal by an Afghan woman who faced deportation to Greece under the Dublin rule, together with her three small children. ‘Because of the undisputed difficult care situation for asylum seekers in Greece, this transfer could lead to a violation of article 3 of the Convention on Human Rights,’ the court said, referring to the convention’s ban on inhumane or degrading treatment. A handful of European Union countries including Britain and Norway have already suspended the return of asylum seekers to Greece for similar reasons. The UN Special Rapporteur on Torture, Manfred Nowak, urged EU states last week to follow suit. On Sunday, the European Commission announced the first-ever deployment of an EU rapid intervention border team, to help stem the growing tide of illegal immigrants to Greece. Warsaw, 26 October – Today, Frontex Executive Director Ilkka Laitinen signed a decision to deploy Rapid Border Intervention Teams to Greece after a request from Greek authorities. “Frontex stands ready to assist Greece by activating the RABIT mechanism in this urgent and exceptional situation in order to augment Greece’s national efforts to deal with this problem” he said. When the RABIT operation deploys, it will integrate the activities within POSEIDON land, sea as well as the ATTICA Frontex joint operations which are currently ongoing in Eastern Greece. “The fact that we already have ongoing joint operations in Greece, will help us significantly in gaining the situational awareness that is so vital for effective operations” he concluded. EUOBSERVER / BRUSSELS – The EU is to deploy border patrols in Greece in a bid to stop the increasingly high numbers of irregular migrants crossing over from Turkey, days after Athens was criticised by the United Nations over its “appalling” conditions for detainees. “The situation at the Greek land border with Turkey is increasingly worrying. The flows of people crossing the border irregularly have reached alarming proportions and Greece is manifestly not able to face this situation alone. I am very concerned about the humanitarian situation,” home affairs commissioner Cecilia Malmstrom said in a statement on Sunday (24 October). Following a request from the Greek government, the EU will deploy its Rapid Border Intervention Teams (Rabit-s) for the first time since their creation in 2007. 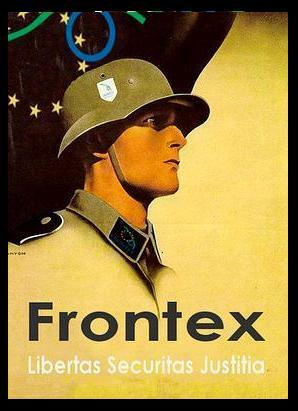 Drawn from the member states’ “national reserve” put at the disposal of Frontex, the EU’s border control agency, the Rabit-s are mandated to observe national and EU law and will be embedded with Greek border patrols. The Rabit-s have authorisation to access Greek databases and “when necessary, use force.” They are authorised to carry their service weapons and national uniform, but will wear a blue armband with the EU and Frontex logo. During their deployment, Rabit-s are regarded as Greek border patrols if any offence is committed against or by them. Frontex naval patrols have in the past come under fire for assisting Italian border guards in pushing back migrants crossing the Mediterranean Sea without offering the minimum humanitarian assistance required under international law. “The increasing pressure of illegal migration flows on Greek borders is a clearly European problem that demands a European solution,” he said. Last week, the United Nations also called on the EU to do more to lighten the migrant burden on Greece, which it said has “catastrophic” conditions for detainees. After neighbouring Mediterranean countries such as Spain, Malta and Italy tightened up their border controls in past years, a bigger influx of migrants is now registered in Greece. According to Frontex, more than three-quarters of the 40,977 people intercepted while trying to enter without proper documents into the EU in the first half of 2010 entered through Greece, mainly coming via Turkey. Politically at odds over the island of Cyprus and with Ankara pressing the EU for visa-free travel, Turkey and Greece nevertheless recently announced “systematic bilateral co-operation” in the area of migration. Speaking at a joint press conference in Athens on Friday, Greek premier George Papandreou said that a “xenophobic climate” is being cultivated in Europe and hoped that bilateral co-operation with Turkey would help alleviate the trend by reducing the wave of migration. Turkish Prime Minister Recep Tayyip Erdogan meanwhile noted the potential benefits for Greek tourism if the EU visa regime for Turkish citizens was relaxed. In August, Muammar Gaddafi said the EU should pay Libya at least €5bn a year to stop irregular African immigration and avoid a “black Europe”. This month, Cecilia Malmström, European commissioner for home affairs, and Stefan Füle, European commissioner for neighbourhood policy, met with Libyan authorities to close a deal on migration and asylum. According to the European Commission, the EU’s financial support to Libya will amount to a total of €50m over the next 3 years. For the European Council on Refugees and Exiles, which brings together over 60 refugee assistance organisations working throughout Europe, the negotiations on migration between the EU and the dictatorship in Libya are one of the most pressing challenges to refugee protection in Europe. It is difficult to understand why the EU trusts Gaddafi’s regime to stop migration to Europe and to decide on the fate of refugees who will find it now even harder to reach safety. Do we honestly think that refugees are safe in Libya – or are we so afraid of the numbers of refugees trying to reach our shores that we are ready to abandon our human rights standards? Last year around 250,000 people applied for asylum in the 27 EU member states – about the same as the number of Somali refugees living in the Dadaab refugee camp in Kenya; about half the number of border guards working in Europe. Libya is not party to the 1951 UN refugee convention and does not have an asylum procedure or a system for refugee protection. People seeking protection are often detained, sometimes for long periods, in deplorable conditions. Migrants risk being mistreated and dumped in the desert. In June this year, Libya ordered the UN’s refugee agency, UNHCR, to close its offices in the country, another illustration of Libya’s particular understanding of refugee protection and the unreliable nature of the regime under Gaddafi. EU representatives have committed to assist Tripoli in reinforcing its capacity to prevent migrants from entering Libya through its southern borders and in developing its patrolling capacities in its territorial waters and on the high seas. The agreement also covers the EU’s assistance to Libya in screening migrants in order to identify those in need of international protection. By setting up EU-sponsored asylum processing centres in Libya, EU states would evade their obligations to protect refugees and shift the responsibility to a country with an appalling human rights record. How would the EU ensure that such centres in Libya comply with EU standards on international protection or even basic human rights obligations? Lastly, the European Commission has committed to assist Tripoli by resettling “some” of the recognised refugees in Libya to EU member states. The EU should clarify how it intends to protect individuals recognised as in need of protection in order to avoid massive long-term warehousing of refugees. For example, in Turkey, 10,000 refugees recognised by UNHCR remain there without being able to benefit from the protection they need and awaiting resettlement. Last year, EU countries resettled less than 7,000 refugees worldwide, a tiny number compared to the 800,000 people in need of resettlement. The debate about outsourcing the processing of asylum claims to third countries is not new. Similar proposals have been considered and rejected in the past because they were incompatible with human rights law. When seeking support for his programme in 2004, European Commission president José Manuel Barroso unambiguously stated before the members of the European parliament: “I assure you that I stand against the setting up of camps outside the union”. Now, in his second term in office, such proposals are still regressive, untenable and unlawful. 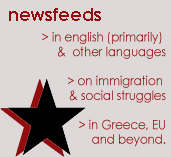 In 2008, some 50 % of all arrests of irregular migrants in the EU took place in Greece. This number has increased to 75 % in 2009 and almost 90 % in 2010 leading to a national crisis within the Greek detention system (migration detention facilities, police and border guard stations, prisons). Migrants may be detained for entering the country illegally as well as for suspicion of committing a criminal offence. In many cases, the prosecutors stop the criminal proceedings or the courts pronounce a suspended sentence. However, the responsible police authorities systematically keep migrants in administrative detention awaiting deportation. In absence of a regular or automatic judicial review it is in practice extremely difficult for migrants to challenge their detention. A migrant may be ‘temporarily detained’ awaiting deportation for up to six months, and under specific circumstances even 18 months. Irregular migrants who cannot be deported (e.g. from Afghanistan, Somalia, Pakistan) are usually released within several days with an order to leave the country within 30 days. Irregular migrants that in principle can be deported to their country of origin often have to wait up to several months in police custody. I have been confronted with a great feeling of injustice among the detainees regarding the length of their detention according to their national origin. Most migrants have not understood this differentiation and experienced it as discrimination. Asylum seekers also appear to be generally detained until their asylum procedure has been concluded which constitutes a violation of Article 5 of the European Convention on Human Rights. Although most migrants and refugees wish to travel on to other EU States, most of them are stuck (for legal or factual reasons) after their release in Greece. The absence of any meaningful social care leads to the marginalization of aliens and to incidents of racism or xenophobia. I have experienced that administratively detained migrants in Greece are often not informed on the grounds and length of their detention. This creates a feeling of insecurity and helplessness aggravating their anxiety of being detained in a foreign surrounding. Migrant detainees often face difficulties in accessing a lawyer and/or an interpreter. Those administratively detained have no access to free legal aid at all. The detention of irregular migrants may take place in border guard stations at the points of entry to the country as well as in police stations. Despite their clear unsuitability for long-term detention, migrants are often detained in such facilities for up to six months. 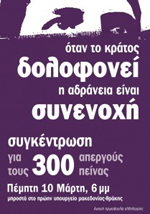 Due to the vast number of detainees there are several specially designated migration detention centers in Greece. The centers in the Evros region, in particular Fylakio, were overcrowded and thus incapable of receiving additional transferees. Furthermore, the centres currently operate outside the legal framework since the joint decision of the four Ministers concerned has not yet been issued. The responsibility for their operation is divided among the prefecture and the police. While the latter are only supposed to take care of the arrest, processing and guarding of detainees, the centers in Fylakio and Venna as well as the border guard stations in Soufli and Feres were in fact entirely run by police authorities. A contrary example was the detention center in Mersinidi (Chios) that is run by the prefecture, which provided detainees with more adequate conditions of living. The Greek system of migration control relies on systematic detention for irregular migrants. Alternatives to detention are hardly considered. Thus, migrants end up in prolonged detention for no other reason than not possessing valid papers. This situation is even experienced as unfair by the responsible police authorities. The systematic detention of migrants leads to an extreme overcrowding of facilities unsuitable for such great numbers of detainees and their long-term detention. In all border guard stations, ordinary police stations and special migration detention centers I have visited with the exception of the one in Chios, I witnessed that migrants were locked up in completely overcrowded, filthy and humid cells, often without natural light, and with unhygienic and inadequate bathrooms with only cold water and were not or inadequately provided with sanitary products such as soap or toilet paper. In some cases detainees had even no direct access to toilets, or their access was restricted because of cell shifts (e.g. the border guard detention area in Venizelos, where there were two toilets outside of the cells for 88 detainees). As a result of the poor conditions many people had respiratory, skin as well as psychological problems. Furthermore, in the Evros region, where the temperature has already started to drop, detainees were often left without any blankets or warm clothes. The Network of Social Support for Refugees and Migrants DYKTIO condemns today’s (22.10.10) police aggression who together with employees of the municipality «cleaned» the region near to the railway station. The hunted refugees of St. Panteleimon Church and Attica Square, in their majority being Afghans but also some Algerians and Tunisians, are camping since weeks in a provisory shelter they built up in a basketball court on the opposite side of the train station. Police and municipality together took away everything these people had in order to protect themselves on a minimum level from the cold: Clothes, blankets… making it impossible for them to continue staying in whatever place they can find to sleep outside. Before leaving they warned them not to remain any further night there. It is not the first time that the police aggresses the refugees’ provisory shelter. On the contrary it constitutes an organized attack against the refugees, which this time just happens to have taken place at the main railway station. In the frame of the «cleaning» operation in the centre of the city of Athens police and municipality together have started a pre-election pogrom in order to remove «the margins», meaning the refugees and among them minors and families with small children who came «to relocate» the city. Among the refugees are families with babies, unaccompanied minors, Dublin II returnees and asylum seekers. Their shelter is an open basketball court without any form of roof – a place exposed to the cold and rainfalls that are characteristic for this season. It is the only alternative for these people after successive expulsions by «indignant citizens» and gangs of the extreme right who «guard» by day and night the regions around St. Panteleimon Church and recently also Attica Square under the open and complete coverage of the police forces. The efforts to find shelter have been fruitless for the families. Housing facilities for refugees are almost non-existent and only concern asylum seekers – and this in a period of time where the central aliens police has closed the doors of the asylum offices on illegal grounds making it practically impossible to claim whatever kind of protection. The already tragic situation of these people is completed by daily brutal and racist assaults. Most of these homeless refugees have fallen repeatedly victims of beatings in the side streets and squares of the region, not only by «indignant citizens» and gangs of the extreme right but also by the police – such as happened today at the main railway station. A top United Nations official has called on the European Union to overhaul its asylum and immigration policies and suggested that EU member states should stop sending illegal migrants back to Greece because the conditions here are not acceptable. Manfred Nowak, the UN special rapporteur on torture and other cruel treatment, made the suggestions yesterday after a 10-day fact-finding mission in Greece that included visits to islands where illegal immigrants are often dumped by traffickers from Turkey. Statistics indicate that nearly nine out of 10 illegal immigrants use Greece as an entry point into the EU. Nowak also urged the European Commission to provide more money and technical assistance to Greece to overhaul its asylum system, which he described as “dysfunctional.” The UN official said he was appalled by the conditions in which some refugees and migrants were being kept. “Some of these facilities are so overcrowded, dark and filthy that it was very difficult for us to be there with the detainees, we had to go out because we didn’t have enough air to breathe,” he said in reference to some holding cells at police stations in Athens. “All the detention facilities, the only exception being the one in Chios, were totally overcrowded, with very, very bad ventilation and lighting, and general conditions were just appalling. Nowak recommended that Greece decriminalize some offenses and apply noncustodial measures to ease the burden on the detention system. He also suggested that illegal immigrants should only be detained “as a last resort” and that a civil authority, rather than the police, should handle asylum applications. Thursday 14th: 43 days have passed since the day that the greek government promised to grant asylum status to the iranian asylum seekers that were on hunger strike in front of the Office of the High Commissioner of UNHCR since July 19 and yet no respond from Greek government. As they announced before, the Iranian Political Asylum seekers went on a harder strike against inhuman and unjust actions done by Greek government. 5 men and 1 woman from this campaign sewed their mouth and the rest of the group (beside children) went on hunger strike since Thursday 14th. Watch this video and see how the members of Campaign who are on hunger strike and some of them have sewed their mouth are treated by racist police!